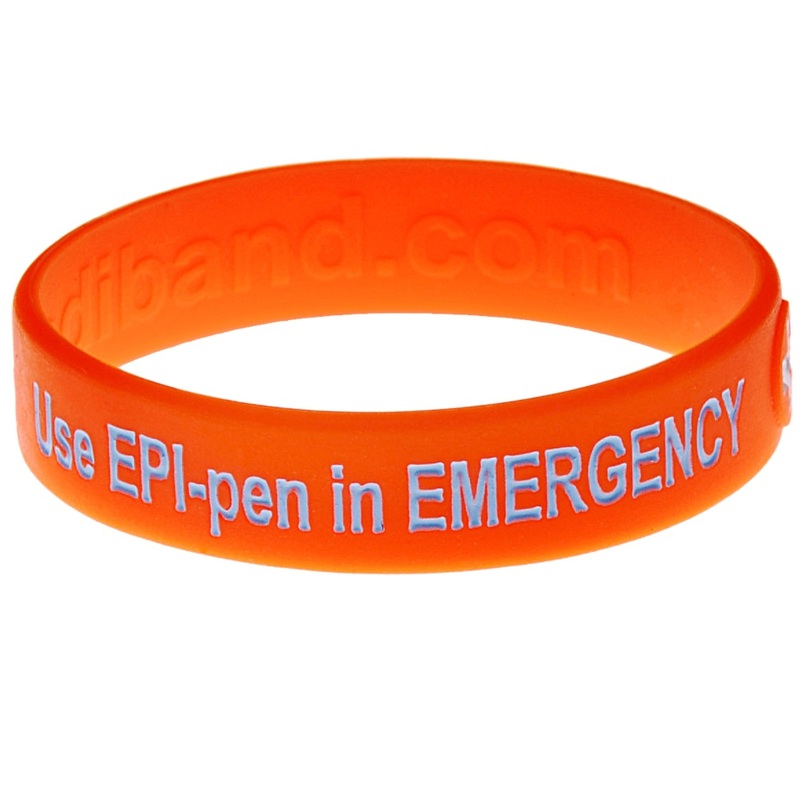 This allergy alert wristband is perfect for people who carry an EpiPen® auto-injector. This Allergy Alert wristband is perfect for letting people know that you carry an EpiPen® auto-injector and that it should be given in cases of allergic emergencies. 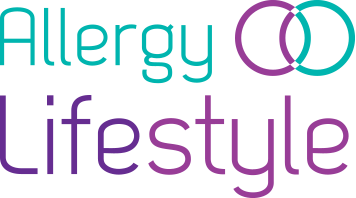 If you have a severe allergy, you will probably be told that you must carry an adrenaline auto injector with you always. This wristband lets the people near you, and also medical personnel, know what to do if you have a severe allergic reaction. The wristband speaks for you if you can’t speak for yourself. An allergy alert wristband is important to allow for quick diagnosis and treatment of your allergy. They speak for you in a medical emergency if you become unresponsive. 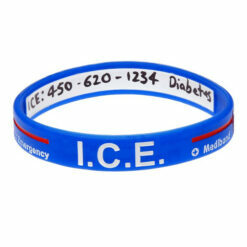 First responders and medical personnel are trained to look for a wristband in an emergency. 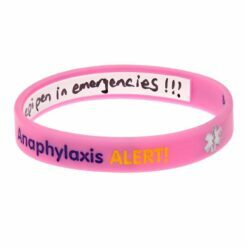 Anaphylaxis is a medical emergency that requires fast diagnosis and treatment so an allergy alert wristband can save lives. 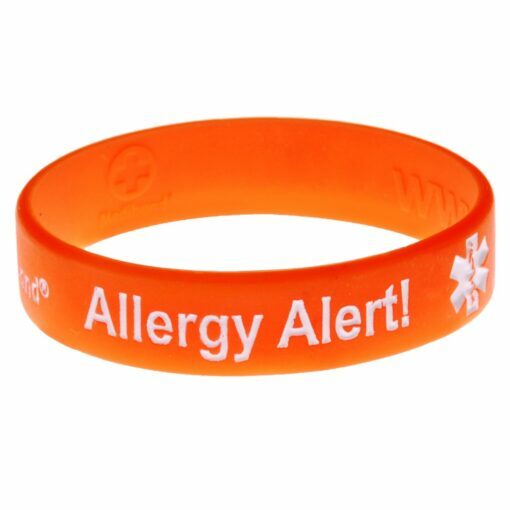 This allergy alert wristband is available in red and orange and comes in sizes small (5.9 inches or 150 mm), medium (7.1 inches or 180 mm) and large (7.9 inches or 202 mm). The wristband reads “Allergy Alert! Use EPI-pen in EMERGENCY”. The mediband wristbands are designed to be comfortable and hard wearing enough to be worn every day.